Home Lifestyle	6 Types of Intermittent Fasting: Which One is Right for You? 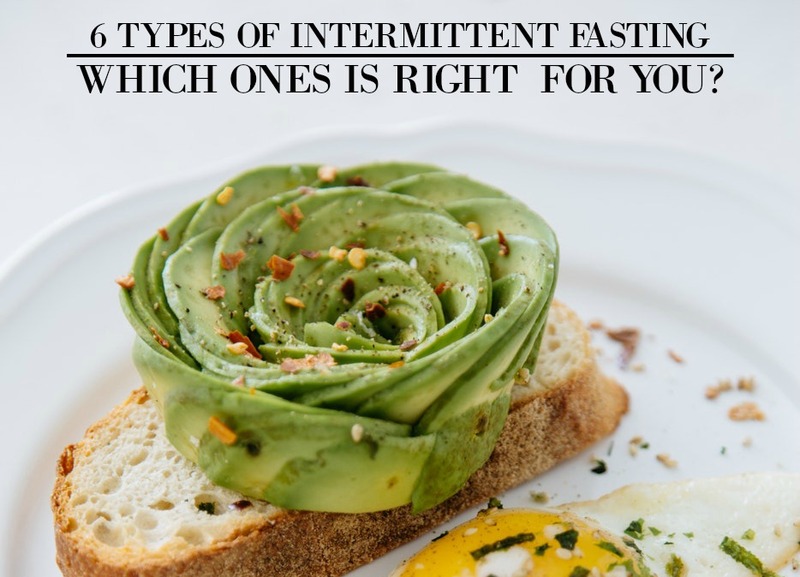 If you’re interested in trying intermittent fasting, then here we’ll share with you the six intermittent fasting diet schedules, how you can start, their benefits, and why they work. So give one (or more) a try and let us know how it goes! This fasting schedule means you’ll be eating within an 8 hour window of your choosing (i.e. between 8am-4pm) and stop eating until 8am the following day. Pros: Great for beginners – Easy to follow. Why it works: This is a fantastic way to begin a healthy new habit of limiting your food consumption and refrain from eating before going to bed. This fasting schedule is common and is quite similar to the 16/8 schedule as you’ll be choosing a 12 hour period to eat your meals and snacks, and refrain from eating during the rest of the 12 hours. Why it works: Just like the 16/8, or Leangains Method, the 12/12 fasting schedule is incredibly easy to start and follow. There are very few rules or restrictions and as such, serves as the perfect plan for beginners. This schedule is a great way to increase your fasting habits and weight loss if you seem to have plateaued on the 16/8 or 12/12 diet. On this schedule you will pick two days of the week to fast and reduce caloric intake on those two days. Pros: Great for those with fasting experience – Easy to follow. Why it works: The 5:2 fasting schedule has been shown to improve insulin tolerance as well as reduce insulin levels. This is a much more extreme form of fasting and is good for short term, but may be hard to sustain long term. This fasting schedule is on an every other day basis and can be great for upping the ante when needing to lose weight. All you need to do is limit yourself to 500 calories in a day or stay away from solid foods. Pros: Great for short term weight loss. Cons: Hard to sustain for the long term. Why it works: alternate day fasting has been shown to aid in weight loss and boost heart health in healthy and overweight adults. Meal skipping is a great start for beginners because you can train yourself to eat only if you’re actually hungry and refrain from eating if you aren’t hungry. Pros: Become self-aware of real hunger – Reduce boredom eating. Why it works: meal skipping is an excellent starter plan for those who have issues with overeating or boredom eating. You will become more aware of actual hunger and only eat when you’re actually hungry, which will reduce caloric intake. Just like alternate day fasting, the Eat Stop Eat method is another form of extreme fasting where for 2 days a week, you will refrain from eating during the 24 hour fasting period. Pros: No food restrictions – Able to drink calorie-free beverages. Cons: Adjustment period may be difficult – Hard to sustain in the long term. Why it works: taking a “break from eating” as it’s called can help to reset your body’s system and reduce caloric intake. Intermittent fasting is great for weight loss, helping heart health, cleansing the body, and so much more! So give one of these fasting schedules a try and let us know what you think!